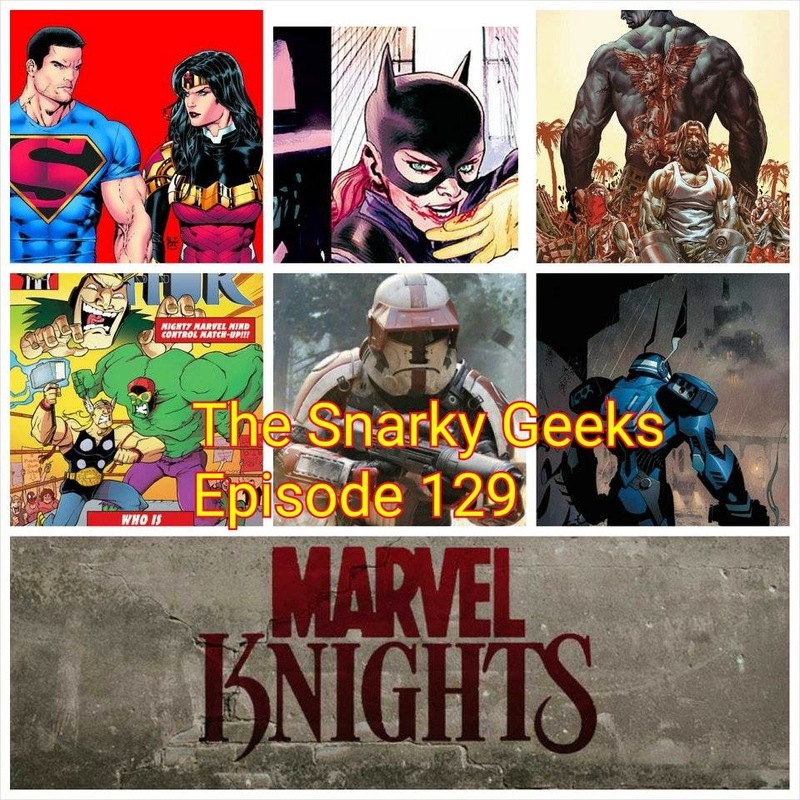 Snarky Geeks Episode 129 - ...Man Of Blue Steel! The Snarks go over the latest DC comics costume changes, Star Wars spin off movie Rogue One, Franky makes an announcement, Marvel Knights Netflix, Man of Steal rears it's ugly head yet again into the confo, Edgier movies, Nobody put DC into the corner,... well someone did, They touch a little bit on the Batgirl #41 cover controversy, Comic reviews!, Thor Annual 1, CM Punk, Suiciders, , plus the Sorry-List and much more! ... You really have to listen to the whole show!